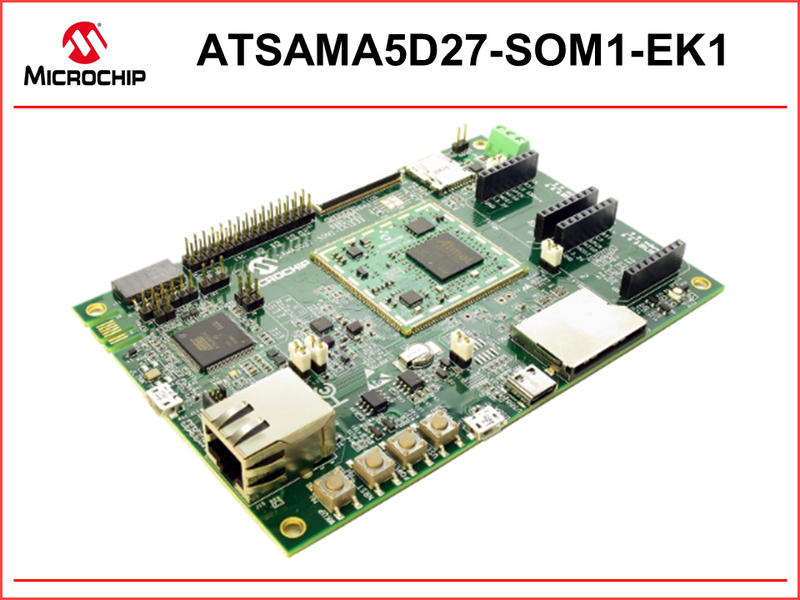 In this topic, we introduce the ATSAMA5D27-SOM1-EK1 development platform. What can I do with the ATSAMA5D27-SOM1-EK1? The ATSAMA5D27-SOM1-EK1 is a platform to develop embedded Linux® or Real-Time Operating System (RTOS) applications on an ARM® Cortex®-A5 Microprocessor Unit (MPU). For information on Microchip's Microprocessor Unit (MPU) offerings, visit the 32-bit MPUs product page. Start by familiarizing yourself with the Features of the ATSAMA5D27-SOM1-EK1 development platform and then jump to the Booting a Linux Image page. Where can I get demo images? How do I program the ATSAMA5D27-SOM1-EK1? Linux images (such as the demo images mentioned above) can be flashed onto an SD Memory Card (of size 1 GB or higher) using a utility program (such as Etcher) and inserted into the J12 SD Memory Card slot. In the Booting a Linux Image page, we show you how. Where can I get source code? Source code is available for the ATSAMA5D27-SOM1-EK1 at the Linux4SAM GitHub repository. There are two methods of debugging the ATSAMA5D27-SOM1-EK1. The first is by JTAG and the second by an onboard SEGGER J-Link. More information about both methods are available in Debugging section of the Features page. See the Booting a Linux Image page for more information about the Linux console. Is there any additional information on the ATSAMA5D27-SOM1-EK1? 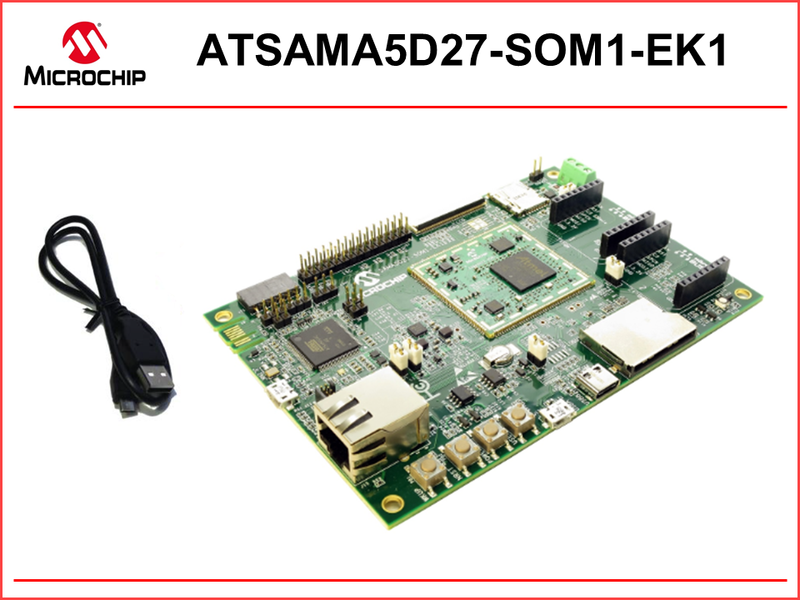 You can purchase an ATSAMA5D27-SOM1-EK1 at MicrochipDirect or your favorite Microchip distributor. Learn the features of the ATSAMA5D27-SOM1-EK1 on the Features page. Learn how to image an SD Memory Card with a Linux demonstration image and boot on the ATSAMA5D27-SOM1-EK1 on the Booting a Linux Image page.